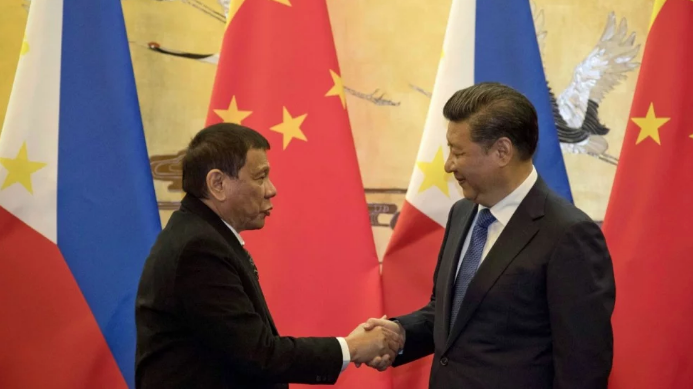 On November 20th-21st, 2018, Chinese President Xi Jinping visited Philippine President Rodrigo Duterte on a trip that would secure at least 29 agreements in one day alone, focusing on solidifying the “joint exploration” of the West Philippine Sea and the Philippines participation in China’s Belt and Road Initiative (BRI). 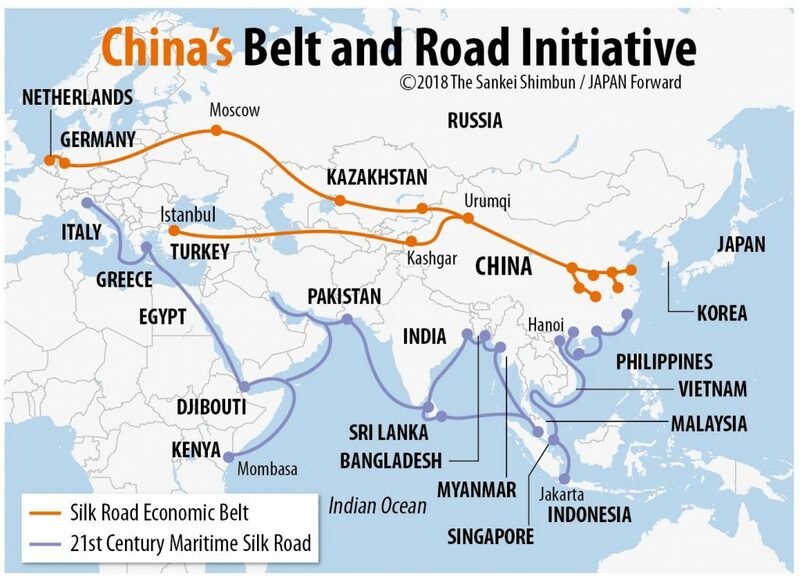 The Belt and Road Initiative is a development strategy by the Chinese government to fund large scale infrastructure projects in several countries to link European and Asia Pacific markets and further strengthen China’s political, economic, military, and trade interests. 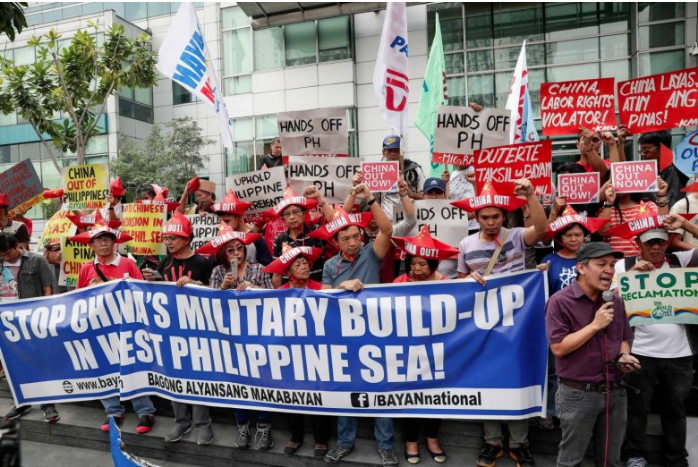 We as BAYAN USA oppose all unequal agreements that create the conditions for the Phiippines to become a debt colony of China, militarize the West Philippine Sea, and undermine the sovereignty of the Philippines. China has gained notoriety for its track record of predatory lending and preying on developing countries, by enticing them to take high interests loans that are difficult to repay in exchange for funding expensive infrastructure projects. When these countries fail to pay back China, they are forced to make certain concessions such as relinquishing the natural wealth and strategic resources of the country. Sri Lanka is a recent example of a developing country that was unable to pay back a loan, and instead they were forced to give up their strategic port and waterway to China for a 99-year lease. So, what are the possible impacts of these 29 deals with China? Expensive projects imposing extremely high interests rates, dangerous threats to the environment and displacement of local communities, and even possible labor requirements strictly using Chinese workers. Duterte has welcomed China to trample on the national interests of the Philippines by signing off on lopsided agreements and giving up Philippine territory to fund his “Build Build Build” economic program. The first agreement Duterte and Jinping sealed was a memorandum of understanding (MOU) on oil and gas development in the West Philippine Sea. Researchers estimate some 130 billion barrels of oil sits in the strategic zone. 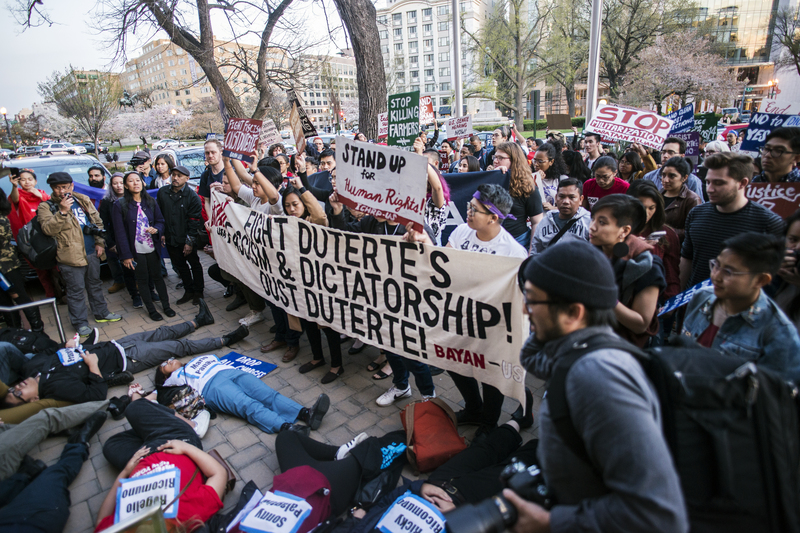 The stakes are high and we call on the President Duterte to assert its legal authority over the West Philippine Sea and to prevent China from further militarizing the area. 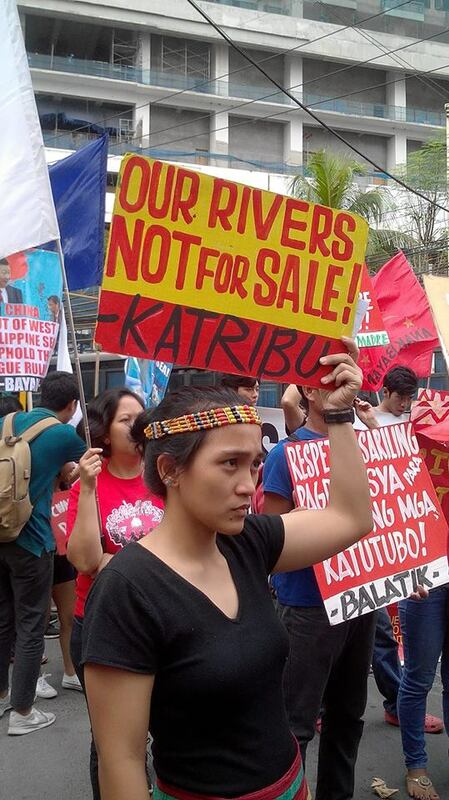 China’s illegal presence in the region continues to have detrimental impacts on the environment, destroying coral reefs, preventing the livelihood of poor fisherfolks who rely on the marine life, and further escalating the contradiction between two imperialist superpowers, the US and China, vying for hegemony over the region, at the expense of the Filipino people. We demand the Duterte government promote people-centered development, instead of profit-focused development to ensure the protection of our natural resources and public welfare. The Philippines must build a self-reliant economy based on building national industries, creating local living wage jobs, environmental sustainability, genuine agrarian land reform, and upholding independent foreign policy. China and US, Hands Off the Philippines! Assert Sovereignty over the West Philippine Sea!